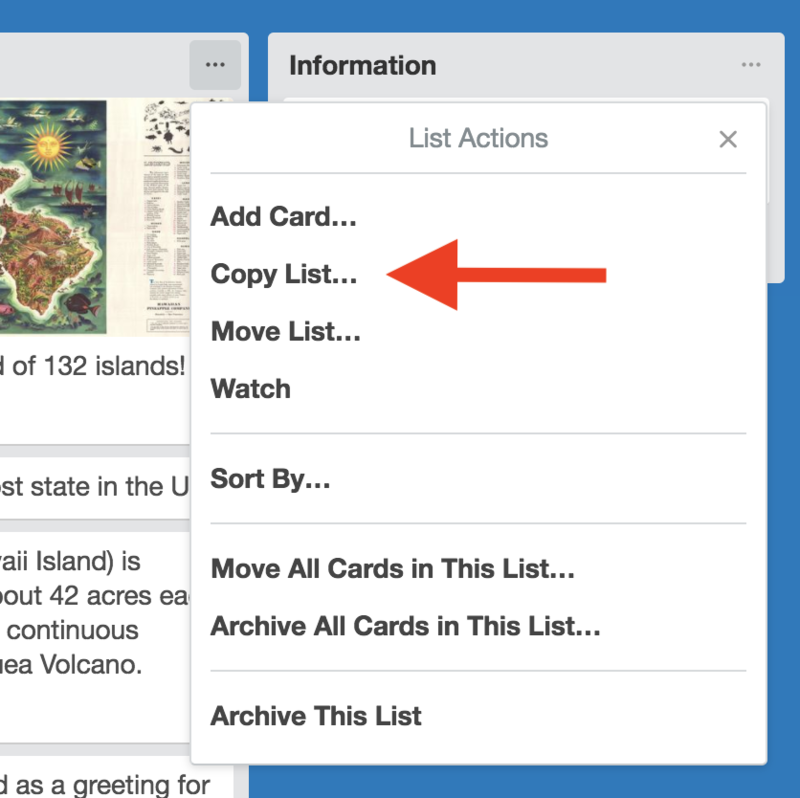 You can copy pretty much anything in Trello, making it really useful to re-use existing cards, checklists, lists, and boards. Open a card and select "Copy" from the right sidebar under "Actions." After clicking copy, you can name the copied card, choose what you want to keep when it's copied and where you would like to copy the card to. Copy a card: pick what to keep and where it goes. Copying a list will copy all of the cards on that list into a new list, including the checklists, attachments, and comments from the original cards. To copy a list, click the context menu in the top right of the list and choose "Copy List." When a list is copied, we'll copy card descriptions, attachments, and comments. We won't copy card history/activity (like when a card was moved between lists). Copy a list and all of its cards. You can even copy entire boards! 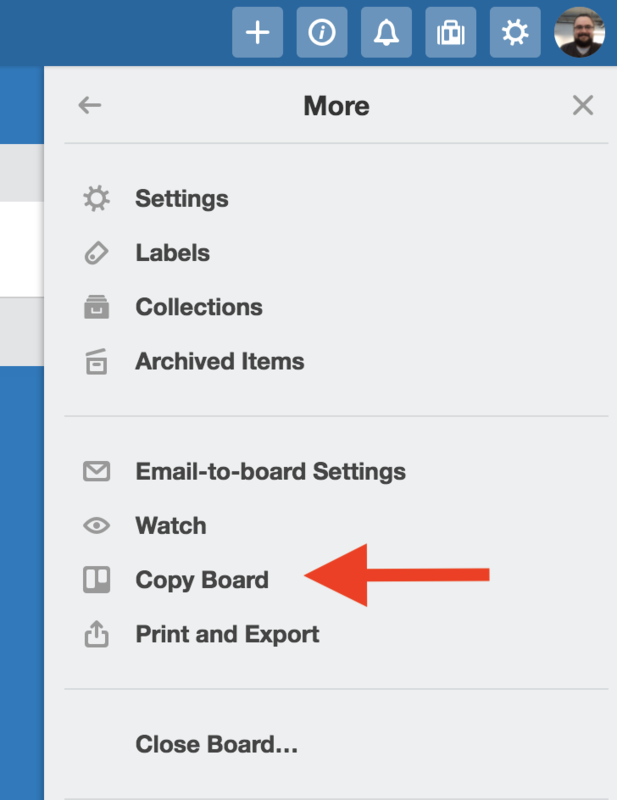 Open the board's menu, then click "More" and choose "Copy Board." When a board is copied, we'll copy cards and their descriptions. We don't copy comments or card activity, however. If you want a "full copy" of the board, the best bet is to copy each list individually, and move it to your new board. You might also check to see if you want to change the board admins, or move the board to a new team, instead. 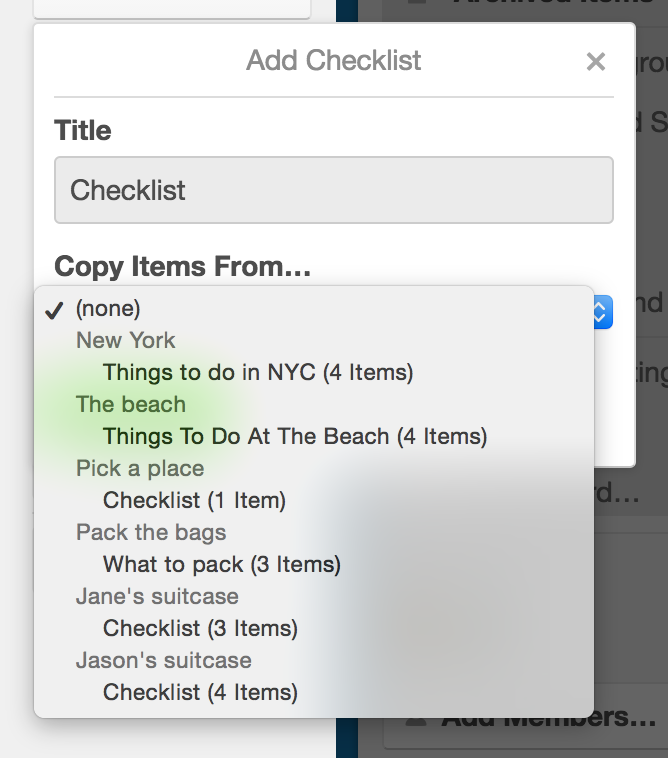 You can also copy just the checklists on cards. 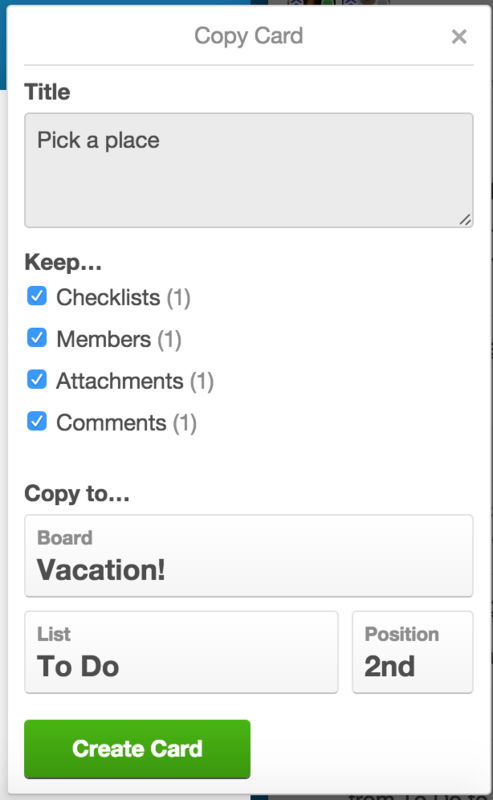 When you go to add a checklist, there's an option to "Copy Items From," which will let you copy any other checklist on your board. Copy checklist items from another checklist on the board.